MADISON - After eight years of staunchly refusing to consider Democratic proposals to protect Wisconsinites’ health care, fully fund the state’s classrooms and provide a long-term solution to Wisconsin’s transportation crisis, Assembly Republicans have suddenly expressed support for such priorities in a letter sent to Governor Tony Evers today. 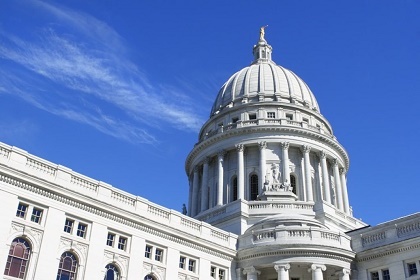 MADISON – Representative Gordon Hintz (D-Oshkosh) was sworn in Monday for the 2019-2020 legislative session of the Wisconsin State Assembly. Rep. Hintz has been serving the 54th Assembly District since 2007 and was re-elected as Assembly Democratic Leader for the 2019-10 legislative session. 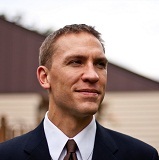 Rep. Hintz represents the 54th Assembly District which encompasses the City of Oshkosh. Rep. Hintz served on the Joint Finance Committee prior to being elected to Assembly Democratic Leader in 2017. MILWAUKEE - Senator Chris Larson released this statement regarding his inauguration Monday for a third term in the Wisconsin State Senate. “I want to thank my neighbors in the 7th Senate District for once again entrusting me with the great honor and privilege of giving voice to our values in the Wisconsin State Senate. I look forward to continuing to work on policies that reflect their priorities for our great state. “In the next four years, I believe that we can finally see movement on issues that were long stalled during Wisconsin’s time of one party rule. We must again prioritize the teaching of our children in Wisconsin and rebalance the education funding formula so that we are not picking winners and losers based on where children happen to live. Every child deserves early access to education. We need to commit ourselves to full-day 4K so our Wisconsin kids have the educational opportunities that bring a lifetime of success. “This session, we must finally tackle the problem of drunk driving. I will be pushing very hard for common sense solutions to this problem and I call on my Republican colleagues to come to the table, work with Democrats on this issue, and pass comprehensive legislation that Governor Evers can sign this session. We can make sure that everyone convicted of an OWI install an interlock device in their vehicles. There must be a real and immediate consequence for all drunk drivers. Simply doing that can go a long way to changing Wisconsin’s culture of drinking and driving and making our roadways safe. 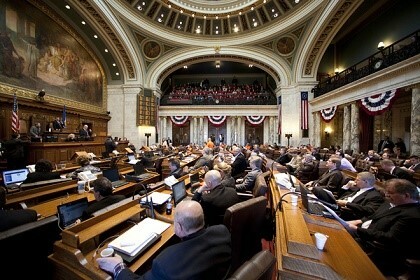 “We will renew Wisconsin’s commitment to good government that has been greatly diminished in recent years. In order for our government to function properly it must do so in an open and honest fashion. Our constituents have a right to know who is influencing their elected officials. That is why we must also prioritize laws that make it easier to hold elected officials accountable and make it harder for special interests to buy and bully politicians. Members of the legislature should no longer be able to simply delete any public record they want at any time they want. Additionally, we must limit the amount of money political action committees and individuals can give to candidates for office. I know, that if we work together, we can limit the corrupting influence money has on our democracy and make our government more accessible to those who have been shut out of the process.